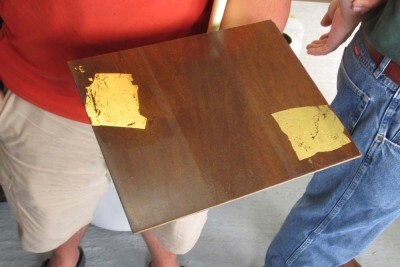 In response to much of the discussion I presented a brief demo about gold leaf at this year’s Groopshop, showing real gold leaf, which was the first time many of the attendees had ever seen it in the flesh; my preparations for the ground beneath the gold leaf, and finally the manipulation of the leaf and its laying onto the substrate. 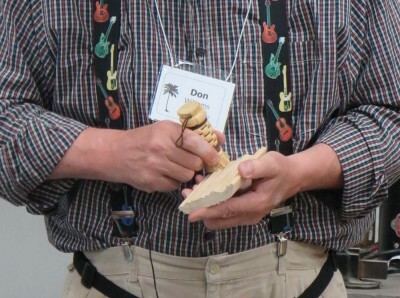 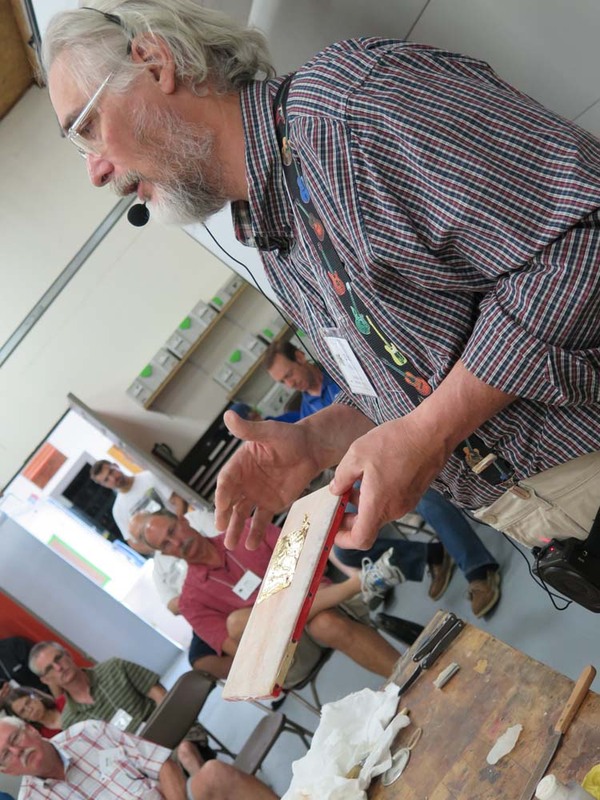 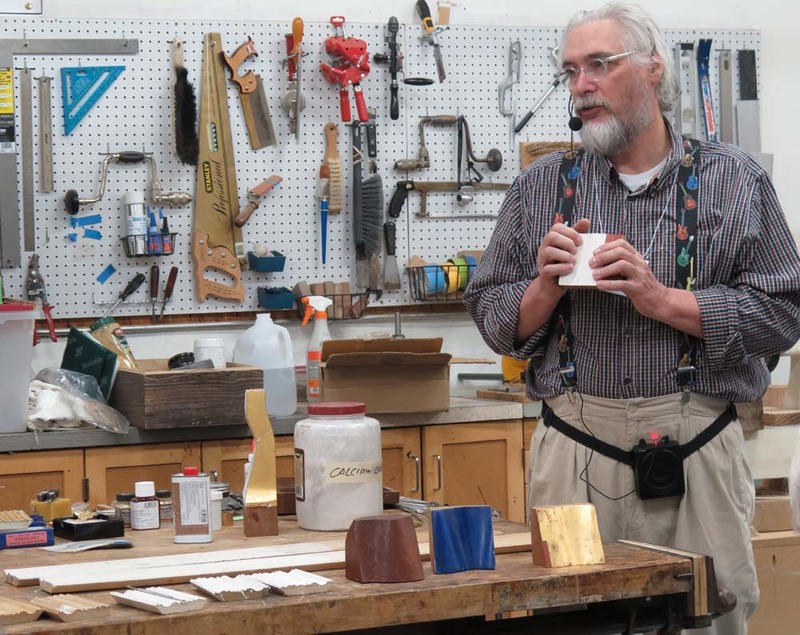 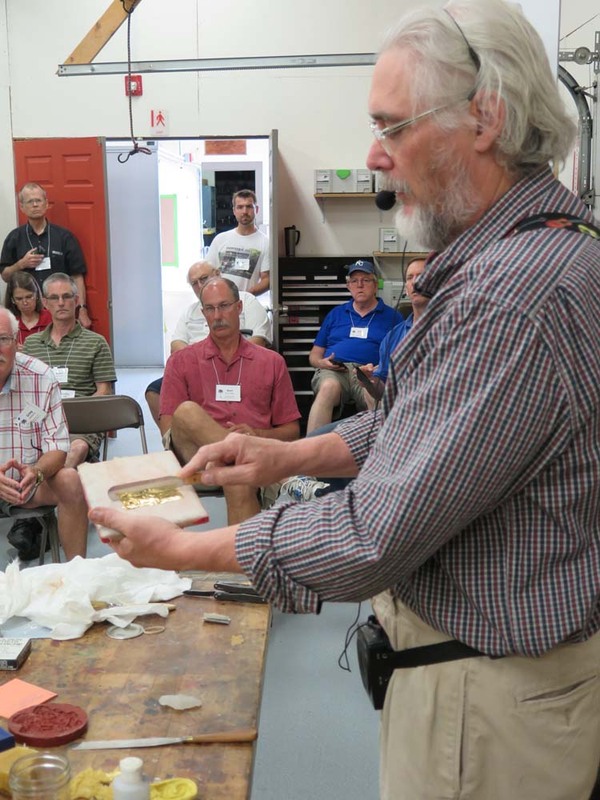 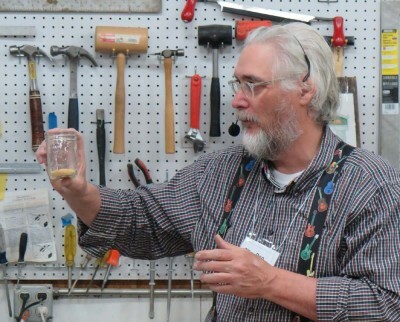 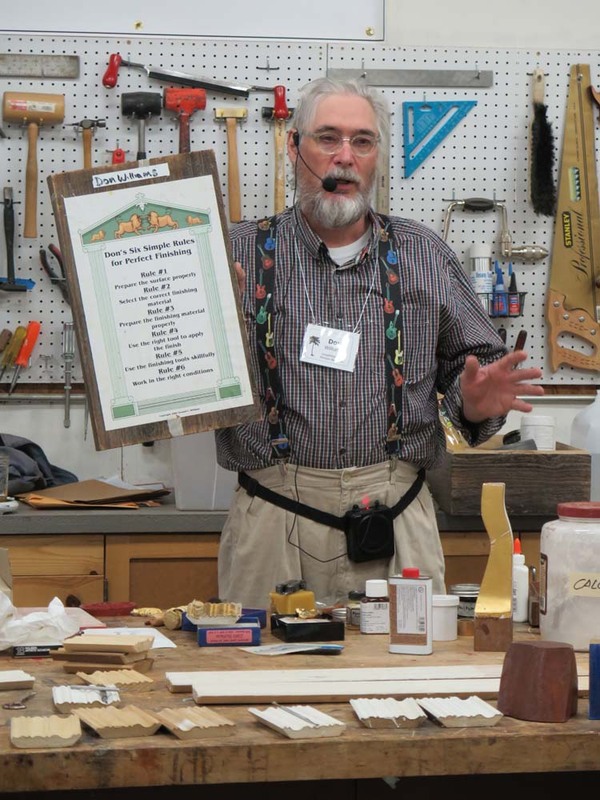 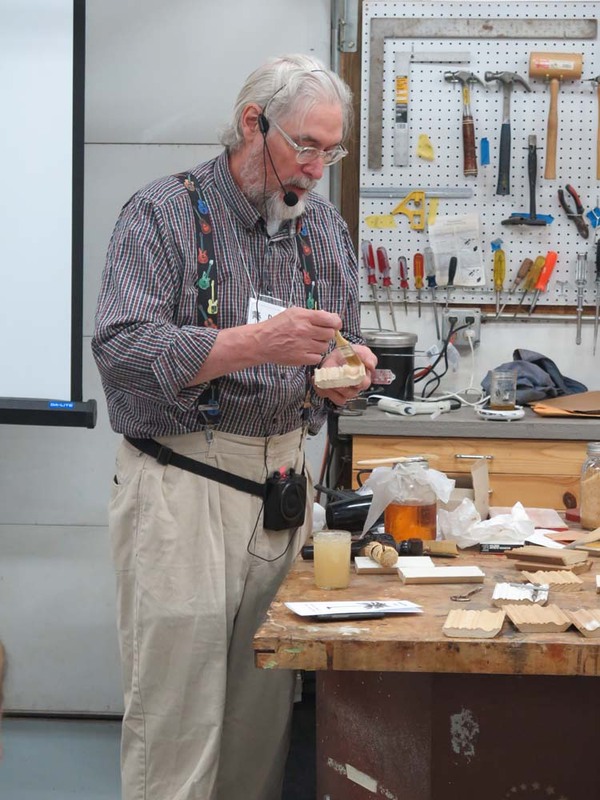 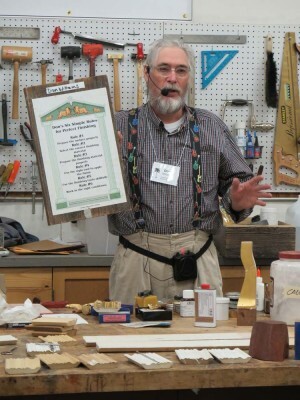 It was, in short, a more brief version of my talk at Woodworking in America last year. 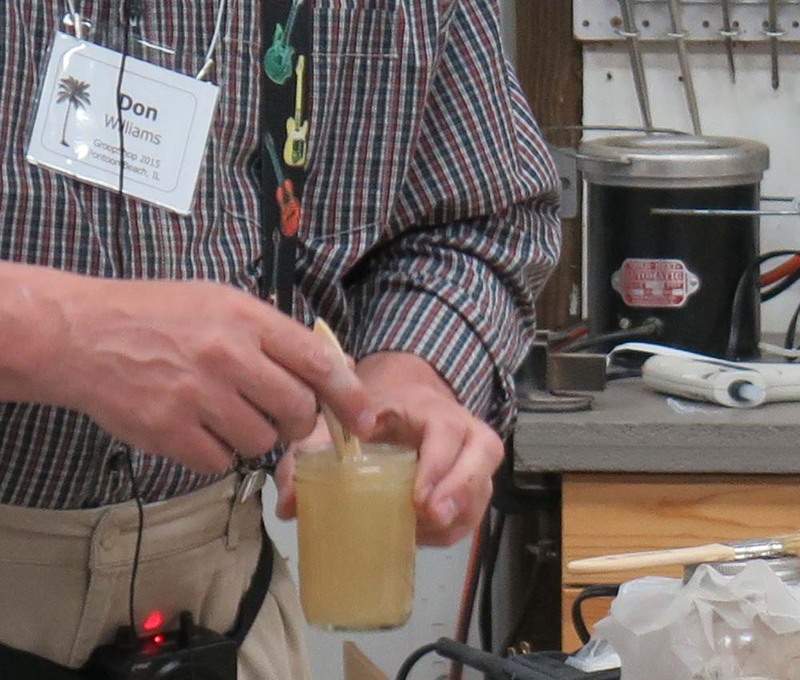 The actual demo was less successful than I would have liked, mostly due to the atmosphere in the room, but it did give a good idea about the process. Gold leafing brings into focus the importance of the first of the Six Rules for Perfect Finishing — if the substrate is not well prepared, nothing else is going to work out well. smoothing the gesso and applying the bole. 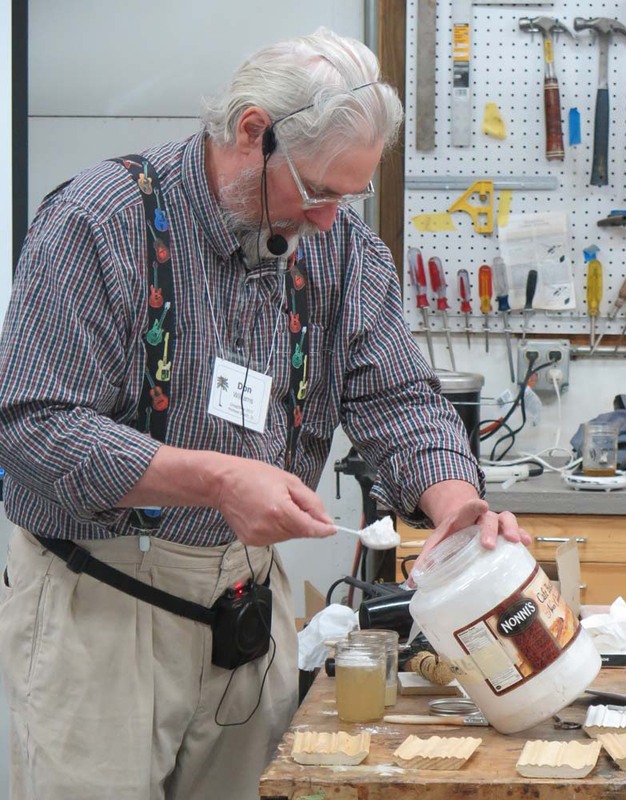 I’ve found that a polissoir does a terrific job a working the surface after I use abrasives of scrapers to get it ready for the next step. 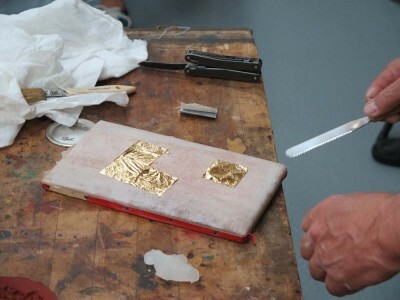 Then I moved on to the handling of the leaf itself on the gilder’s pad, readying it for the application over oil size or by water gilding. Like I said, the room was a bit iffy for the process, but at least they got the idea of how it is done. One of the things I did ex poste that was a lot of fun was to apply a layer of Finish Up to a panel and lay gold leaf into it immediately. Definitely something worth exploring further.